Electrolysis Treatments at New York, NYC’s Top Spa – A Safe and Permanent Option for Hair Removal. Looking for permanent hair removal on a small area but don’t want to pay New York City prices? NYC’s most efficient spa, Dyanna Spa, has highly professional electrolysis specialists that utilize top quality equipment to ensure that you never have to spend another day worrying about your unwanted body hair again! Do you ever ask yourself why you keep schlepping to the spa to get waxed every few weeks, biting your lips in pain and wishing that you were born a guy? Or are you fed up of being late to dates and parties because you needed those extra 10 minutes in the shower to shave? If this sounds familiar, you may want to take a closer look at removing your unwanted body hair for good with electrolysis. The benefits of electrolysis are astounding: It utilizes a reliable technology that will get rid of body hair without having to worry about it growing back at some point down the line. Additionally, relying on a relatively “old” (in the sense of being tried and tested) hair-removal technique, you can rest assured that electrolysis is a safe bet. And at Dyanna Spa, where we value cleanliness and reliability towards our customers by using only top-of-the-line products, we offer you the option of using your own pinpoint needle when using electrolysis on your skin for your convenience and comfort. Additionally, you choose the amount of time you have free for an electrolysis spa visit. Feel that you’ve only got a quick 10 minutes to spare? Then book a 10 minute session – it will still get you that many steps closer to reaching your goal of smooth, hairless skin. Want to speed up the process and get a whole hour in? No problem, for an affordable $60, we’ll give you a 60 minute treatment – and think how much money and hassle you’ll be saving in the long run! Laser hair removal, though becoming increasingly popular, is still somewhat on the risky side since the potential side-effects of laser technology have yet to be revealed. 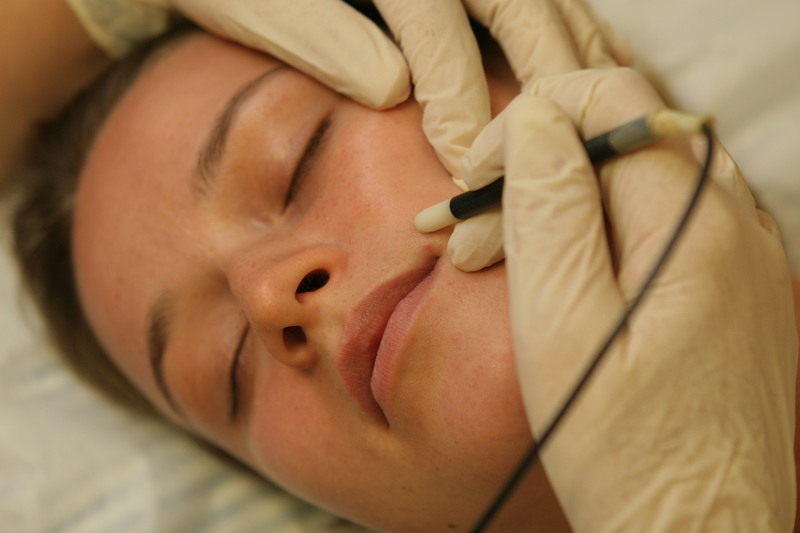 Electrolysis, on the other hand, has been a widespread beauty technique for a significantly longer period of time, and has provided much satisfaction to its users for decades to date. It is also the only mode of permanent hair removal that is FDA approved! Another thing is – there is no commitment involved! No contracts or limitations on how many treatments you can book – so you can try it out a few times and see if you like the results. And when you decide you want to come back for more – we’ll be here waiting! To learn more about Dyanna Spa’s hair removal services and other treatments offered at Dyanna Spa please visit: Http://DyannaSpa.com or call Dyanna Spa in Gramercy Park, NY to schedule a free consultation at (212) 995-2355.